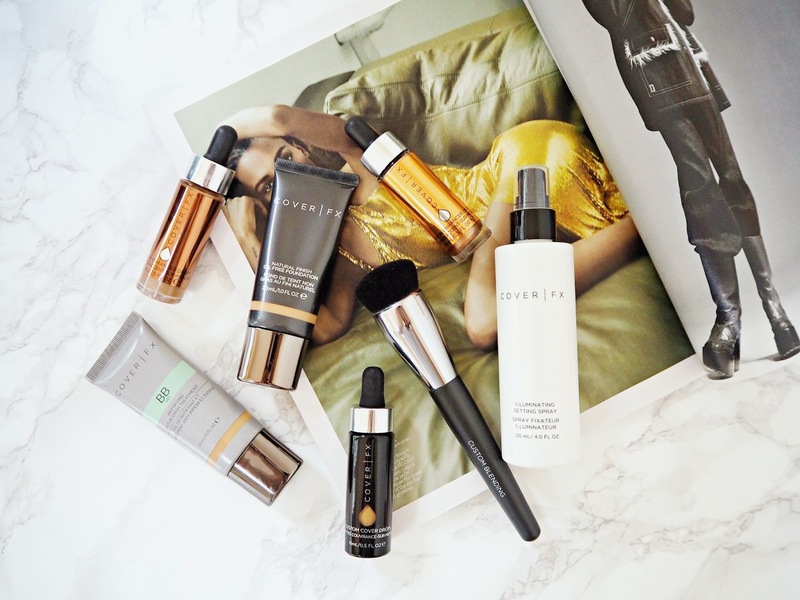 I first came across Cover FX a couple of years back and they've definitely had a niche following for a little while, however since the launch of their highlighting drops, it seems they've exploded in popularity and now you can get your hands on them via Cult Beauty! To celebrate, I've put together a few of the products I've tried from them and really enjoyed. As a brand, Cover FX is focused on the skin and complexion and has a wide shade selection to suit a range of skin tones. 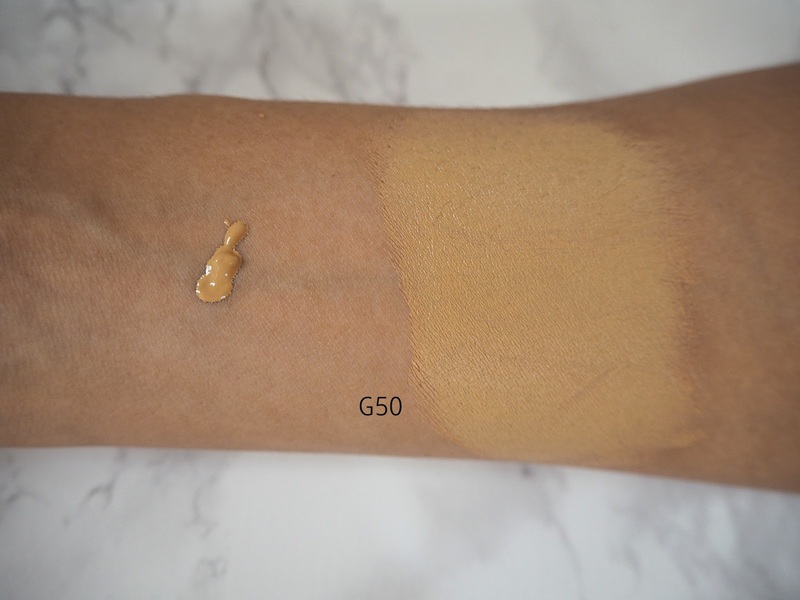 Natural Finish Foundation* (G50) | £34 | When I first had the idea for this post, I decided to dig this product back out from the drawer at my mum's house and see how I felt about it now (because my skin has definitely changed since I first gave this a go). I've actually really fallen for it this time round! It just gives me exactly what I want from an everyday foundation; it has a good medium coverage without ever feeling like too much, the shade match is spot-on and it has that perfect skin-like finish that's neither matte nor dewy (though still feels nice and hydrating). My only slight negative is that I do have to powder at the start of the day and at lunchtime when I use this, because it can let a bit of shine creep through. Overall, though, if you just want a product that you know you can rely on as an everyday foundation for work, that allows the skin to breathe whilst evening out its tone and any imperfections, then I think this is a great option. Custom Blending Brush* | £32 | This brush looks unlike anything I've ever used before, so when I first tried it, I really wasn't sure what to expect! However its bristles are so incredibly densely-packed that it's perfect for applying a full-coverage foundation. It gives such a flawless finish and I use it by alternating between pressing the product in and buffing motions to get that perfected finish. The slightly domed shape also makes it easy to use, allowing me to get into even the more awkward spots on my face. Custom Cover Drops* (G50) | £36 | This is the amazing multipurpose product that really put Cover FX on beauty enthusiast radars everywhere. It's essentially a really concentrated foundation-pigment product that comes with a dropper applicator (though given the consistency of the product, it can sometimes be hard to get out / dispense the right amount using this). The idea is that you get shade-matched from their extensive range to find your perfect colour (these come in a range of colours from light to dark, with warm, neutral and cool undertones). This means that just a drop of this in pea-sized amount of a slightly-off foundation adjusts it to the right colour without affecting its finish or formula. However that's not all - when I want to get a little more coverage out of my tinted moisturiser but want to retain the hydration it gives, 1-2 drops does this perfectly. They can be used on their own but for me personally, I do think that's a bit too much coverage (just for information, it gives a matte-satin finish). Instead I like to mix it with a moisturiser and (as the name suggests) you can add the precise amount you want to get the level of coverage you're looking for. It's a fantastic addition to my makeup collection and even now I'm still experimenting with different methods of using it with different products! It's the kind of thing I think everyone could do with having in their stash. Custom Enhancer Drops in Candlelight* | £34 | As I already have the Iconic London Illuminator, I wanted to try something more bronze-toned from the Cover FX range that made them famous. 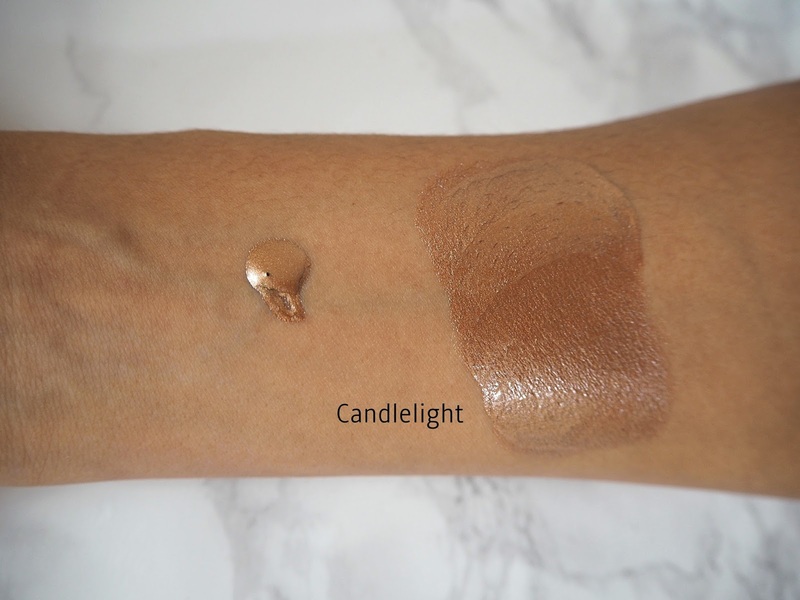 Although this shade looks dark, it definitely blends out lighter with a slightly silvery shift and is perfect for adding a bronzed glow when mixed in with foundation. The concept is exactly the same as with the Cover Drops - there are a variety of ways to use this luminous (and glitter-free), super-pigmented liquid highlighter. Namely, over your makeup at the high points of your face or mixed in with your base to increase its glow. 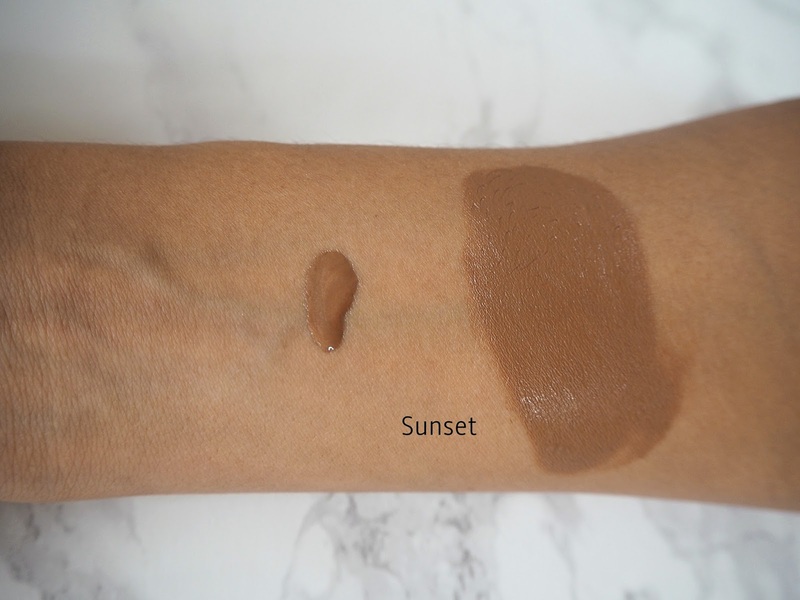 Custom Enhancer Drops in Sunset* | £34 | I was really intrigued to try one of the two bronzer shades from the range, as I've never really come across anything like this before. The formula has a very subtle luminosity that will translate as matte but not flat on the skin. Again, it's intensely pigmented, so you literally only need about one drop of this if you're applying it to the face over makeup. I use a BeautyBlender to work it in (it blends out beautifully with very little effort) and it gives a subtle look but definitely adds definition, warmth and dimension to the skin. This is the perfect mid-point between an ashier contour tone and an overly-orange bronzing colour and can also be mixed with foundation to add some warmth. Illuminating Setting Spray* | £22 | This is definitely a product you have to work with, but I do love the look it gives to my skin. It's essential to give this a really good shake before use (unless flecks of iridescent shimmer on the skin is what you're going for!) However if you can manage that, I find it adds an instant radiance, luminosity and dimension to the skin without looking at all obvious. Such a shame about the Mattifying BB Gel because I've been meaning to try that for a while - it sounds perfect for my skin type! I'm yet to try anything from Cover FX, but I have a fair few of their products on my wishlist, so I'll have to rectify that soon! I've always wanted to try out Cover FX ! Gutted about the Mattifying BB Gel, I loved that stuff! I just picked up a sample of this foundation a week ago, I've been using it and I love it. I think once I'm done my naked skin I'll be picking this up. I found it works better with a damp sponge though than a brush, just like the effect better. That Candlelight shade is stunning! Need to try a couple of things from this brand. I love your blog photography here. I really need to try out this brand. I love the idea of the cover drops. The bronzer sounds very nice ! I adore Cover FX, I don't even want to think about how much money I've spent on this brand over the years!